A few days ago, Dwayne Johnson announced that in two weeks we are going to see the first trailer for his Hercules film, and today the busy actor has given us through his facebook page the first glimpse of San Andreas, the current film in which he's working on. In the film, Dwayne Johnson plays a helicopter pilot that after a devastating earthquake caused by the famous San Andreas' fault, is in a desperate search to rescue his daughter. 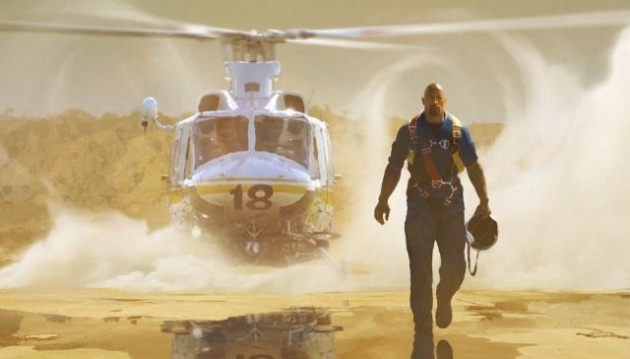 Directed by Brad Peyton and also starring Alexandra Daddario, Carla Gugino and Art Parkinson, San Andreas will shake U.S. theaters in 2D and 3D on June the 5th, of 2015.